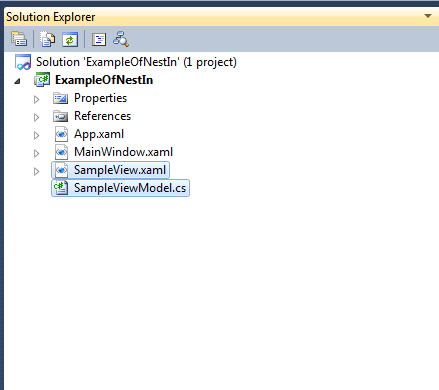 Nest files in Solution Explorer. 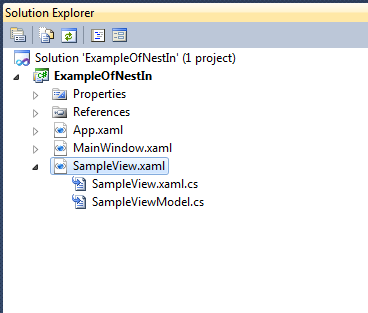 Nest any type of file on any other type of file within your solution explorer! Keep your code more organized! 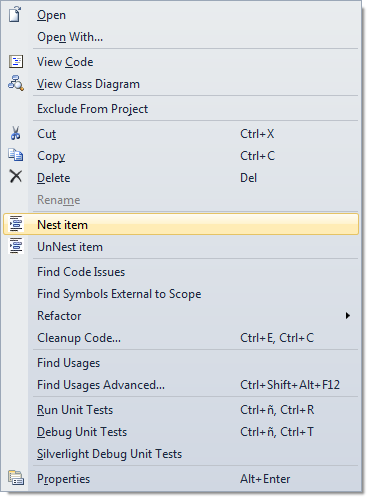 Nest ViewModel and Views, Mapping files on classes or anything else. Step 2 : Nest in! Step 4 : You are done! !